The Archway Veritas Parent Service Organization (“AVPSO”) Board needs many volunteers to keep our community vibrant during the school year. No prior experience is necessary! In order to receive email communications from the AVPSO, have access to the family directory or volunteer for AVPSO activities you must register your family in MySchoolAnywhere’s online portal (“MSA”). *Access will be granted after June 1. ** Once you register you will want to download the app, which is more user-friendly than the website. MSA is also your central point of contact for volunteer opportunities. Volunteering time is one of the best ways to connect with other parents and to learn more about the inner workings of the school and its events. We currently have an online sign-up list for committees and events for the 2018/2019 school year, found in MSA under “sign-ups.” We ask that each family commit to a minimum of 3 volunteer hours per semester so that our community will remain united and vibrant and so that we can support the school and faculty. We ask that one or two parents act as Homeroom Parent for the year. This person will be a communications liaison between the student’s teacher and the parents of the other students in that class section. This parent will also help facilitate class celebrations that the teachers incorporate into the curriculum. You can sign up to volunteer as a homeroom parent at Back to School Night in August. If you are a new family please take advantage of our Mento Program. A seasoned parent mentor will contact you over the next few weeks. Feel free to ask your mentor about ordering books and supplies, school protocol and procedures or anything else on you mind. Dads, you are an important part of our community. Our Dads’ Club has been a moving force in some of our most important events. Dads’ Club is know to plan fun evening mixers throughout the year as part of their “Tour d’Arcadia”. Please send an email to Eric Luoma at ejuoma@cactusflower.com to be added to the mailing list. 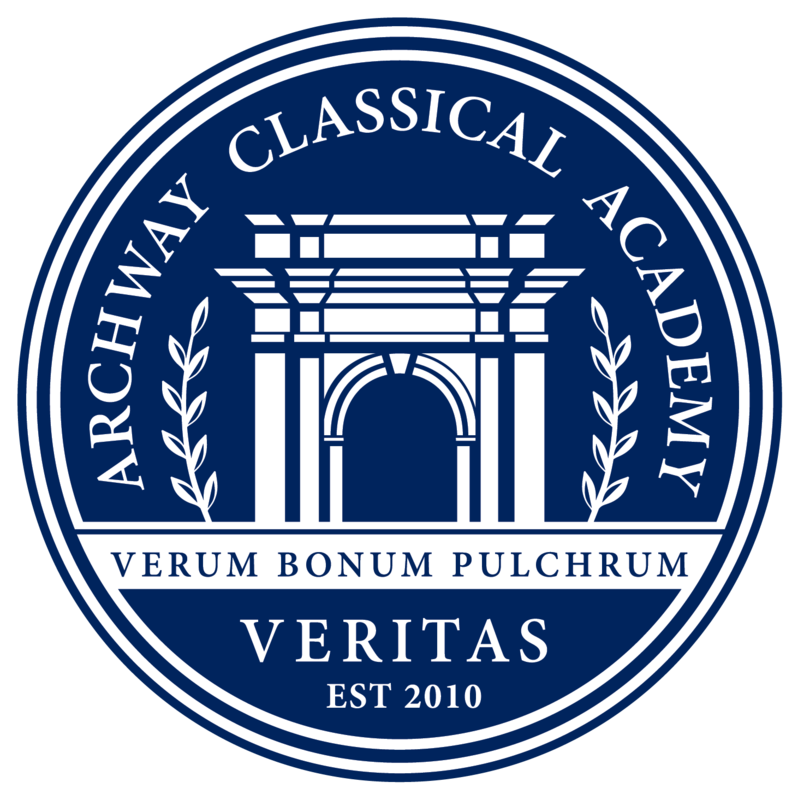 ~ “Spirit Wear” is apparel that features designs supporting Archway Veritas. Spirit wear will be sold during a three-week promotion at the beginning of the school year. ~ Fingerprinting is required in order to volunteer in the classroom or to chaperone field trips. It is best to get this taken care of early. ~ Display maintenance (Update two school Display Cases with information and visual appeal and maintain the PSO Box, cleaning the exterior and decorating the windows monthly). Click here to sign up to volunteer to help with one of these activities or events!